It's a little hip, a little homemade, a little Hollywood and it's the perfect place to go when you're hungry! 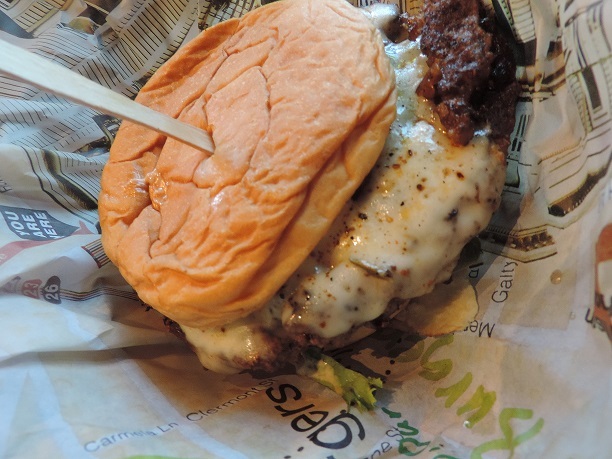 Our recent mid-day getaway had us enjoying lunch with friends at Wahlburgers at Broadway at the Beach! 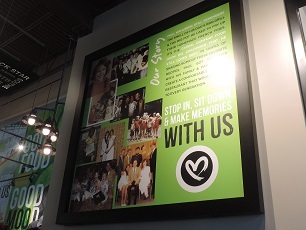 Although Wahlburgers offers a great grab and go service, we had time to sit, eat and enjoy and that is exactly what we did! As we sipped on ice cold Teas and Cokes, our lunch date of three perused through the menu. 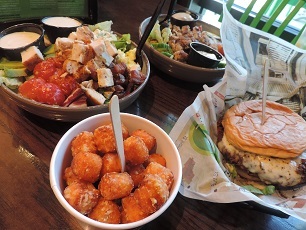 Although it was a little difficult to narrow down our taste buds when skimming over the Thanksgiving Day Sandwich, Mom's Sloppy Joe, Crispy Haddock Sandwich and their signature house burgers, but we finally made our minds up with the Fiesta Burger, a Cobb Salad and House Salad... and then an order of sweet potato tots (to share)! 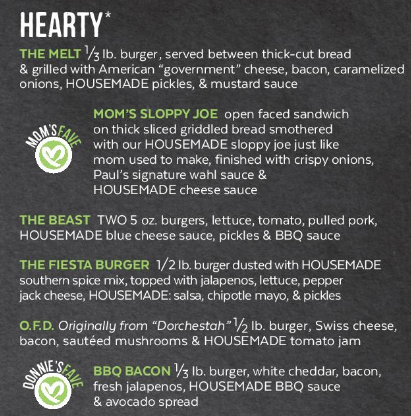 The Fiesta Burger is a carefully crafted 1/2 lb. burger with house made southern spice, topped with jalapenos, lettuce, pepper jack cheese, house made salsa, chipotle mayo and pickles. One word, delicious! Tasty Tip: wrap the paper around it so you don't miss any of the juicy flavor! 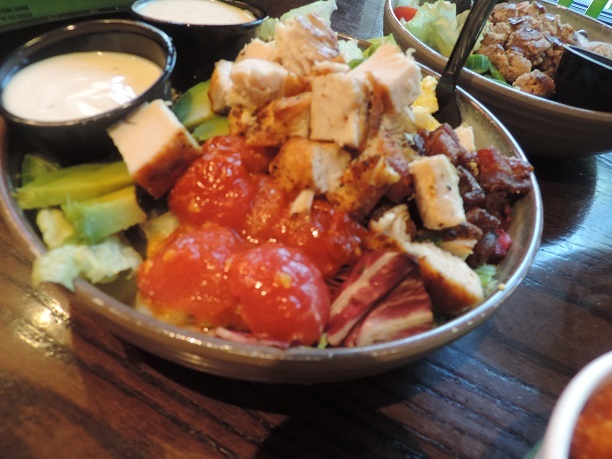 And there is nothing skimpy about their salads, as the fresh toppings of seared chicken, roasted cherry tomatoes, bacon, crumbled blue cheese and avocado filled the cobb salad and our other lunch date opted for a house salad topped with a Turkey burger! 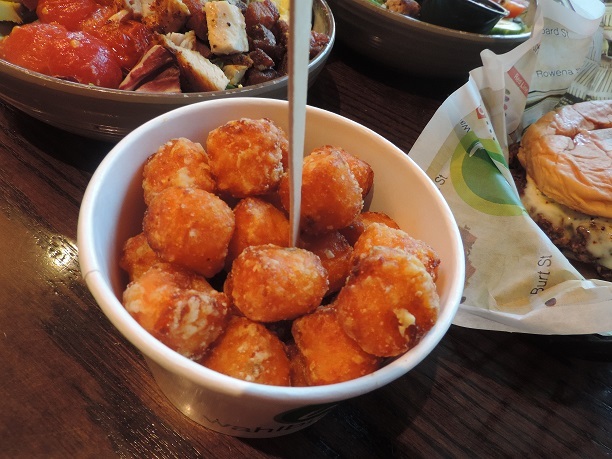 And then there were tots, oh those warm, delicious sweet potato tots! Trust us, you will not be able to eat just one! As we were finishing up, our server tempted us with the sweet treats of Wahlburgers including house made frappes and even a Grilled Banana Fluffanutta (peanut butter, fresh banana, fluff and Nutella), however, we couldn't fit one more bite into our bellies! We may just have to start with dessert on our next visit to Wahlburgers!